What Does The Best Bond Cleaning In Pullenvale Cover? Finding and selecting reliable house cleaning in Pullenvale is not easy. The most common questions we get asked by people like yourself have been collated below to assist you in making a smart decision. 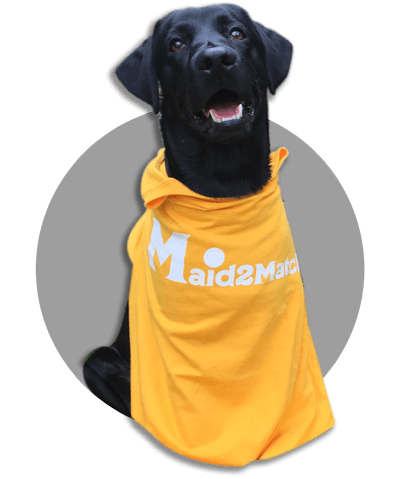 WHY ARE MAID2MATCH PULLENVALE’S BEST AT VACATE CLEANING? The truth is great bond cleaners possess a different skill set than regular house cleaners and therefore requires specific experience, dedication, and a first-class cleaning checklist. At Maid2Match, we personally vet all our cleaners, after having them complete a three-part application form. We provide extensive support and have crafted the most effective bond cleaning checklist you’ll find. Our team is the go-to for your end of lease bond cleaners. With Brisbane CBD located 15 kilometres east of Pullenvale, this is one of Brisbane’s outer suburbs. The landscape here is magnificent, considering that Pullenvale lies at the bottom of Mount Elphinstone’s southern slopes. Spread on 24.4 square kilometres, Pullenvale has a lot to offer to hikers and nature lovers, with its rolling hills and bushland areas. There are some urban landmarks you can’t miss too. One of these is Pullenvale Hall, on 302 Grandview Road. A former pineapple packing shed, this house was bought in 1943 from Jack Woodward. Now, the Hall sees many functions and classes run here by the inhabitants of Pullenvale together with the Local Council. Another old remnant from historical times is the Pullenvale State School, that’s on Grandview Road too. Opened in the spring of 1874, this was the landmark of a civilization that developed soon and that needed education for its children. If you enjoy nature walks, the Pullenvale Recreation Reserve and Pullenvale Forest Park are just a couple of the worthwhile parks here. And you can take a moment of silence at one of Pullenvale’s monuments, like the one commemorating the 25th Anniversary of the 1974 Flood on Moggill Road, Rafting Ground Reserve.